Thousands of ringtones on Audiko.net! 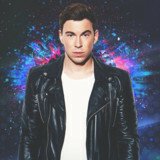 You can conveniently download a free Hardwell ringtones for your iPhone or mobile. Specify your favorite measures from your favorite tune - Hardwell vs. Calvin Harris vs. Tiesto & KSHMR vs. Q - How De, Robin Schulz & David Guetta vs Hardwell & KAAZE - Shed A Lig, Hardwell vs Bingo Players vs Hozier - Take Me To Church [Unm, or any other track. Then download the prepared Hardwell ringtones to your cellphone, and enjoy Electro music by Hardwell every time your phone rings. Here you can download your ringtone both in the MP3 and m4a formats, compatible with both mobile phones and iPhones. Just select a track, and choose free Hardwell ringtones download option. Everybody Is In The Party - Hardwell vs.